'Promise Me We'll Be Okay' intrigued me. It's a second chance story but it's honestly the kind of second chance story that I tend to avoid because we come into this story smack dab in the middle so to speak and a lot of time with stories like this I just don't get a feel for the couple and I tend not to feel invested in the story but surprise that didn't happen this time. I really liked Jude and Vee (Vincent). Jude's musically gifted and loves his job as a high school music teacher almost as much as he loves Vee. Vee's ambitious and driven to succeed but Jude's his touchstone and he loves him completely and yet it's been about 2 years since Vee ended things between them and Jude's spent that time trying to move on, to get past loving Vee with all his heart and losing the dream that was suppose to be their HEA. Jude never really understood what happened or why what he thought was his perfect life with Vee suddenly came to an end, but he's trying really, really hard to move on from all of this until a knock on his door one evening brings him face to face with the past that he can't quite move on from. So needless to say I wasn't going to be a fan of Vee...nope, he's an idiot douche-bag and all those other rotten things, right? Nope, wrong...dammit, I liked Vee. It turned out that he was honestly a really nice guy who made a really big mistake and when he finally realized it he didn't try and blame anyone but himself. Truthfully I loved that Jude didn't play games when he finally talked to Vee and they began to work things out and I totally admit if I had been in Jude's shoes I think my reactions would have been the same. I really got where Jude was coming from and part of it was the why of Vee ending things. I'm not saying it wouldn't have hurt but it could have been so much harder. I loved that whatever the problem was between these two it didn't involve cheating and that's all I'm saying about that. And yet, ironically, what really niggled at me was the reason why Vee ended things between him and Jude...as reasons go it was weak and somehow I couldn't quite reconcile it as something that the Vee we saw in the story would do, but while I was waffling over this, I realized that there are probably things that we can all say we've done that have struck people who know us as being outside of our character. So while it may not have struck me as being something that Vee would do I also realized that didn't make it something he wouldn't do. Now what really worked for me was Jude and Vincent...it's through their conversations and Jude's memories as he and Vee begin to find their way back to each other that I began to see and feel the connection they shared. I loved these two men together. They worked I felt their connection and it was good. I also really enjoyed the secondary characters in this story from Jude's brother and his wife to his friend Benji and Benji's 3 dads. 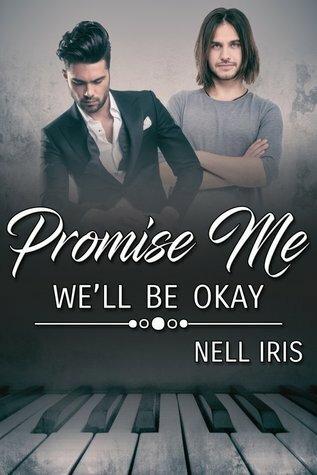 'Promise Me We'll Be Okay' is essentially a short, sweet second chance story that's touched with humor and low on angst and overall an enjoyable feel good story. 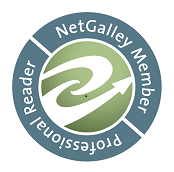 An ARC of 'Promise Me We'll Be Okay' was graciously provided by the author in exchange for an honest review.